A critical component of any learning organization is the community in which it exists. A strong support system is vital for students to learn, grow, and achieve their dreams. The Urbandale Community School District is grateful for the dedication and support of students, parents, staff, board members, and the entire Urbandale community—from parents who volunteer in their child’s classroom, to students who continue learning and growing to achieve their goals, to parents who help with homework at home, to staff who go above and beyond what their job description declares, to board members who contribute their expertise and countless hours, to businesses and non-profit organizations that mentor students—who give us the incredibly special opportunity to provide world-class education and services for our students and families. 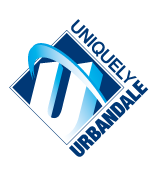 Urbandale truly is a community school district; working together to achieve comprehensive goals and celebrate the successes of all students, parents, staff, and community members. We’ve developed a “Parent Guide to Community Resources” to provide families with information about a number of local organizations that can help support daily living needs. To view the Resources Guide, click here and select the PDF on this page.